Nothing is as fulfilling as being able to finish your academic responsibilities and move on to a much greater path. It has been often imposed that with education all things are possible and that nothing can hinder you from reaching your dreams. That is why most parents push their children into a university that offers quality education or if not just finish their academic responsibilities in general. You may also see Certificate Templates. Finishing an education is itself an achievement and nothing more can solidify or validate the fact that with an academic certificate. It just validates the effort you have put into finishing your academic responsibilities and solidify the fact that you are able to accomplish such a responsibility. You may also see simple certificate templates. With that said, academic certificates are given to those who have finished a specific education or have passed a series of tests. It is a document that proves your qualification for further academic endeavors. Not only that, but it can be your ticket to better or greater job opportunities with better salary options. 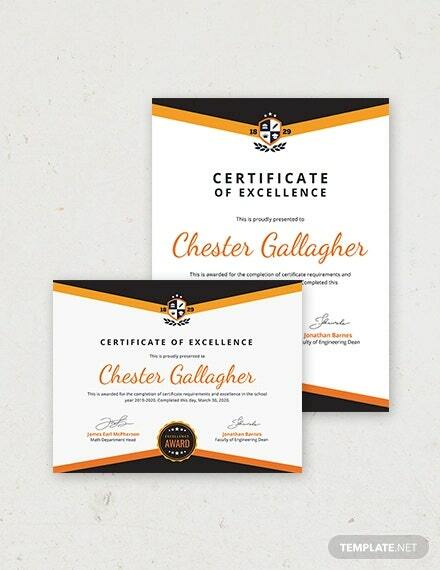 So, for people who work in a school or a university or in an academe in general, it is best you provide your students who are about to partake in a new academic endeavor with certificates to validate their accomplishment. That said, here is a list of academic certificates you can use. You may also see professional certificate templates. How Can People Who Work in an Academe Acquire their Very Own Academic Certificate? Options are on a high when it comes to acquiring your very own academic certificate, such as going to a professional graphics artist to have one custom made. But, the best option to do so is by simply buying one that is premade and readily available online. It comes with efficiency and practicality that ensure the affordability of its price and the ease of its workability. With a premade option you get the same result as having it custom made or even better; the only thing that sets it apart is how less it is priced. While going for a custom made option can be really expensive as there are factors that are being taken into account. As such are the consultations and the number of hours a professional graphics artist put into your certificate. 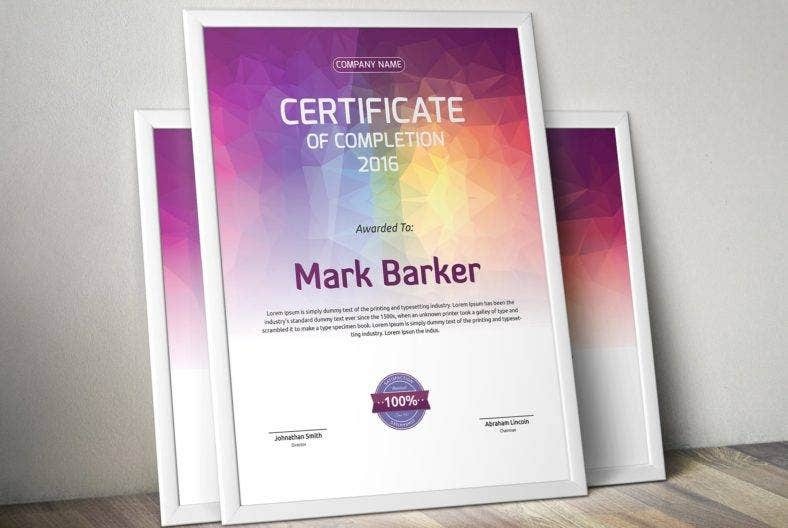 You may also see course completion certificate designs. What are the Different Reasons to Convince You to Go for the Premade Option? This is what truly sets the premade option from its counterpart which is having it custom made. In terms of affordability, there is a gulf between the premade option and custom-made option. Its affordability is what really makes it an ideal option out of the two. 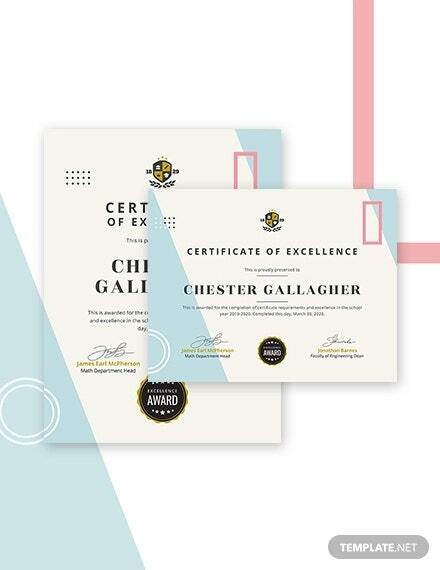 To note, premade certificate designs and templates are made in assumption to what the people might want, meaning the designers are not obliged to follow any requests or demands and deadlines, that is why they generally cost a lot less. They just simply create the designs they prefer and like and at their own pace and own time. Compared with the option of having it custom made, where the price can inevitably skyrocket because of the different factors that are being taken into account. Such as the different consultations that transpire before actually creating your certificate, to fully get to know you as a client and to get the full idea of what it is you want. Then, there is also the number of hours the graphics designer will work on your certificate to meet your demands and standards. 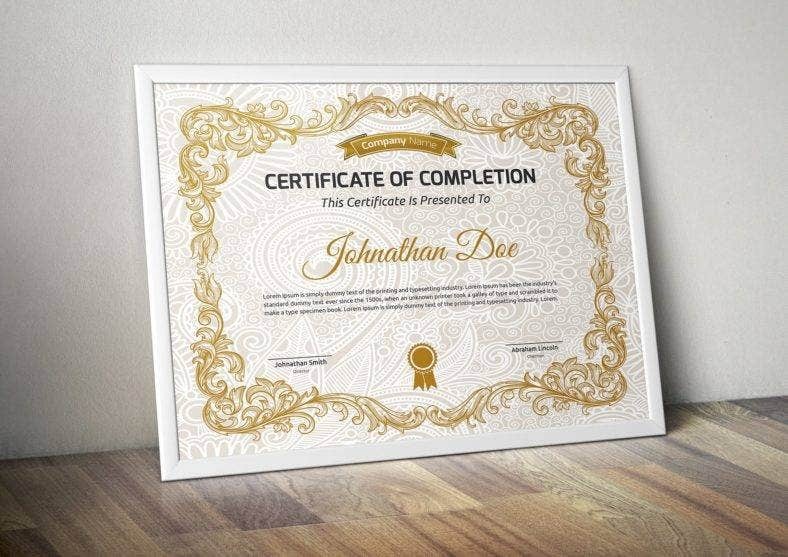 A premade certificate or anything pre-made in general is initially designed and laid out by the designer, then giving you the freedom to finish it according to your preference. 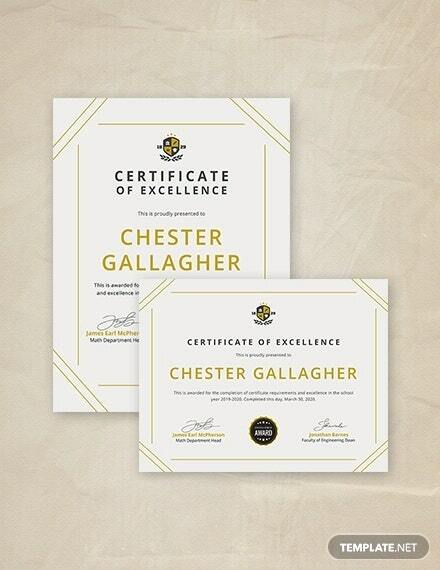 This is what really makes the premade option easy to do or make, the fact that it was designed and laid out by the designer, how it was initially laid out can work as a guide to how you will design the certificate (i.e where to put the designs and texts, what size, et cetera). Considering that you will be doing this on your own, it is not actually such a demanding task to do so. 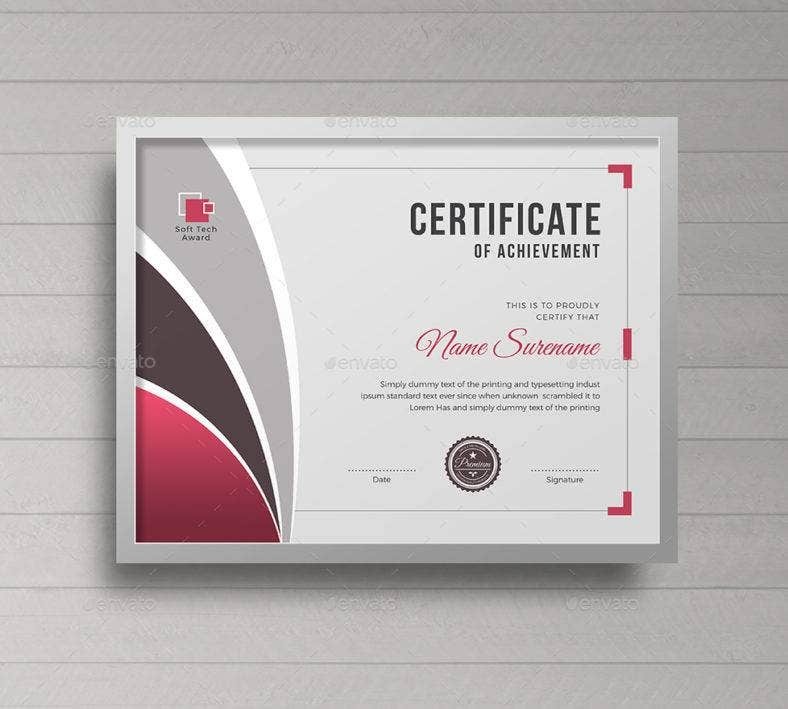 A little knowledge about the different software used in designing can already help you create (or in this case, finish) the certificate template and design you will be choosing. 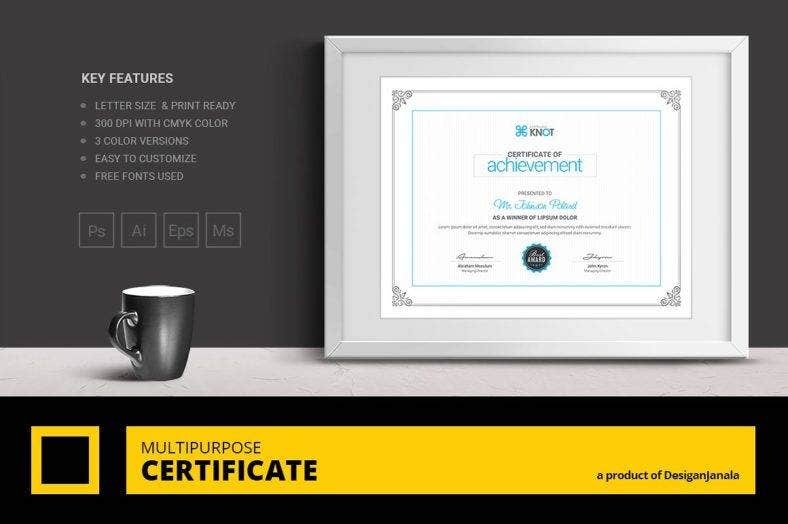 To also note, these certificate designs and templates come in a file that is easy to edit and customize. 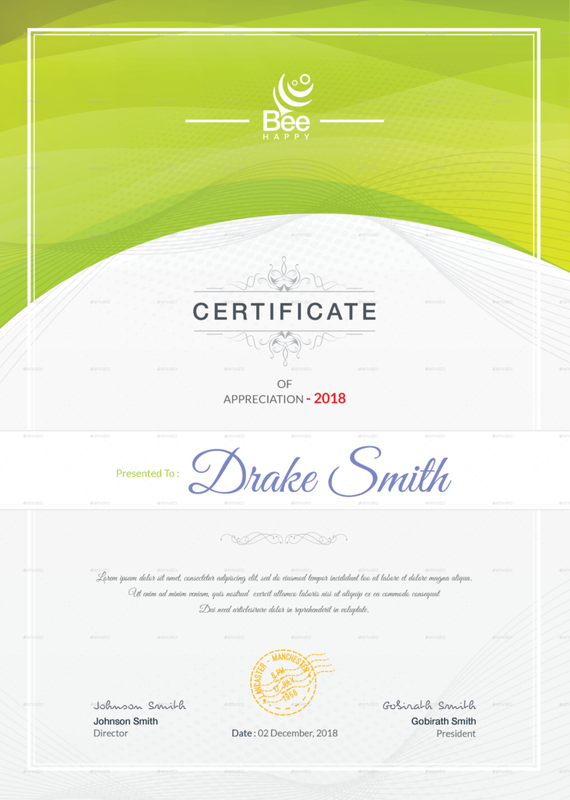 It also sometimes comes with smart object layers that enable you to move around elements of the design creating a more personalized certificate. 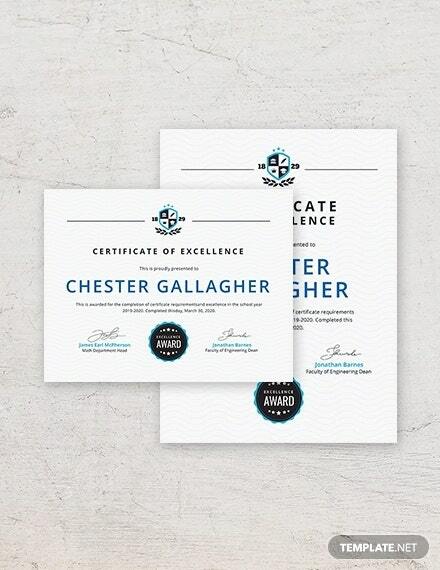 Although by nature certificates are simple, it still gives you an ample opportunity to be creative. 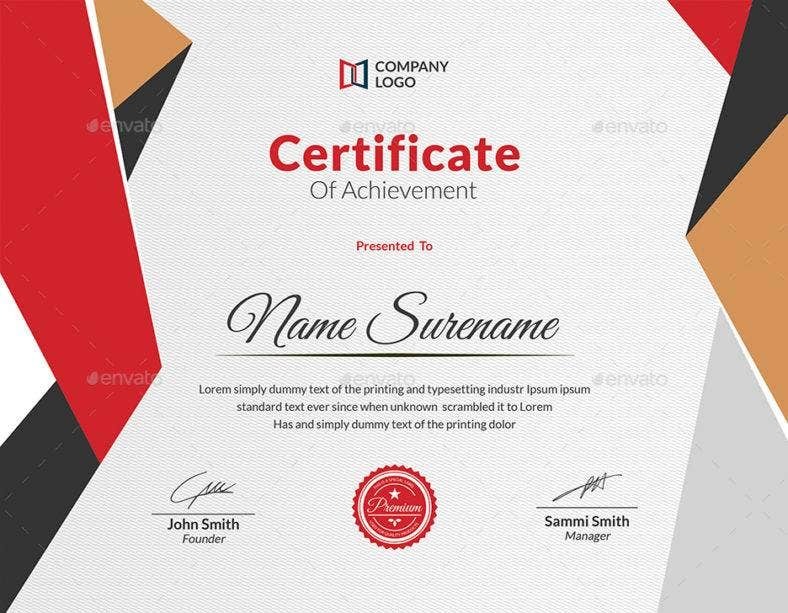 Having in mind the idea that these certificates are premade, it offers you the liberty to do whatever you want with it in terms of layout and elements. Elements are editable and customizable, from texts, colors, sizes, even a few other elements in the design. How a premade works, is actually like a collaboration between you and the designer; knowing that these pre-made designs and templates for certificates are initially done by the designer and then giving you the freedom to do the rest according to your preference. Most people have the notion that premade is only capable of offering a few design options because it is in fact already made. Although it is premade, there are actually a lot more choices that people do not realize. Different templates for different types of people: for those who are more traditional and prefer a more classic looking certificates are the simple certificate templates, there are also modern certificate templates for those who opt to go the non-conventional route; then, there are also designs that are elaborate that elicit luxury and sophistication, and for those who want a more different and unique looking academic certificates are the fun designed templates. There are definitely one for every preference. What Should be in Your Academic Certificate? In order for a certificate to be effective, one must consider the different pieces of information that go into it. These pieces of information simply help validate and solidify the achievement the student has made. 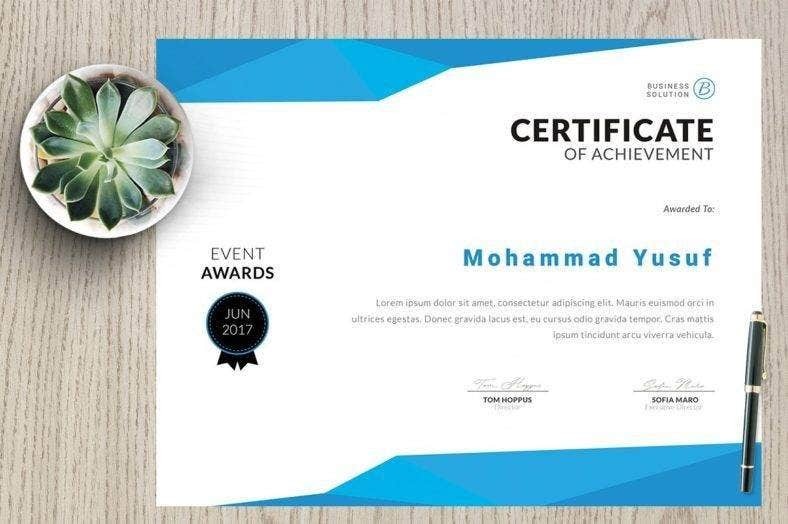 Although, not everything has to be in the certificate, having most will give your certificate enough credibility and reliability, that will ensure its effectiveness to the recipient. You may also see Microsoft word certificate templates. If you want your academic certificate to connote professionalism, credibility, and reliability it is important that you have the name and logo of the academe or either of the two on the certificate. As doing so helps in assuring the recipient of the certificate that it is of legitimate nature. You may also see school certificate templates. 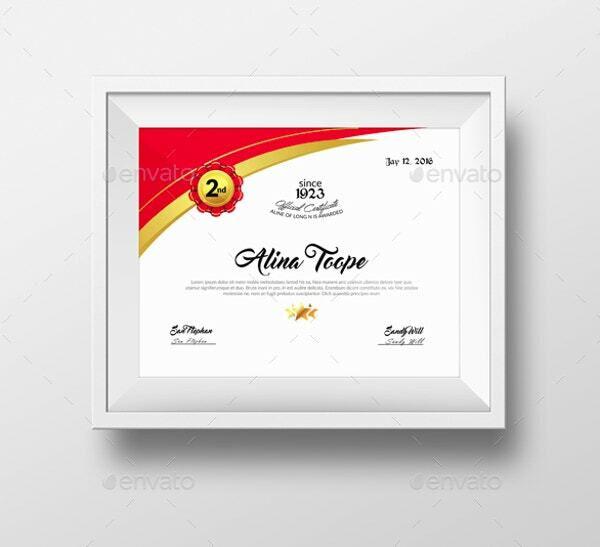 Considering that there are also numbers of other kinds of certificate out there, it is important that you label or specify the kind of certificate you are handing out. This varies from occasion to occasion it could be for instance an academic certificate or it could also be a degree certificate. In doing so, you are avoiding your recipients from getting confused with what certificate it is he or she is receiving. 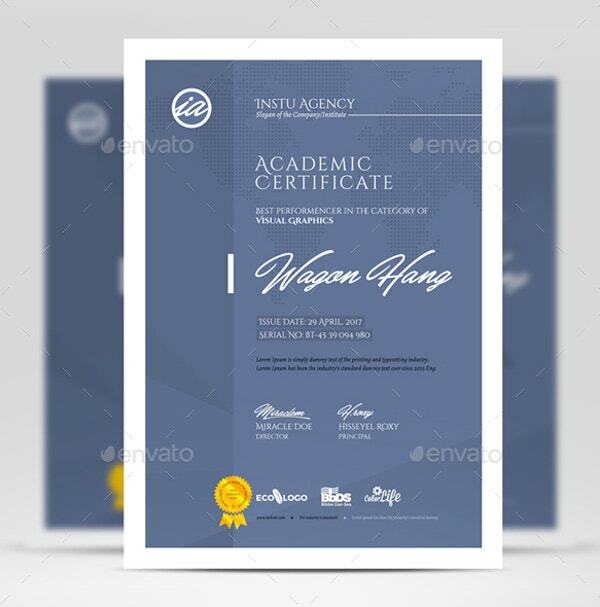 You may also see degree certificate designs. Anything with a name on it makes everything more personal and meaningful. 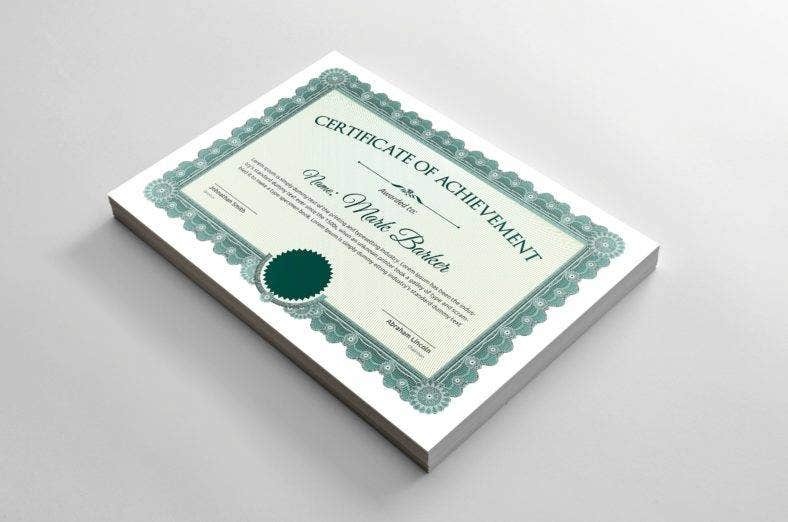 And, in order to make each certificate personal to the recipient, it is important that you include their names on it. Doing so will simply make the certificates unique from each other considering that they all share the same elements. It is also important to remember to make this the biggest text on the certificate to make it fully effective. Considering that it is also the very objective of giving out the certificates: to honor and recognize the recipient. You may also see graduation certificate templates. 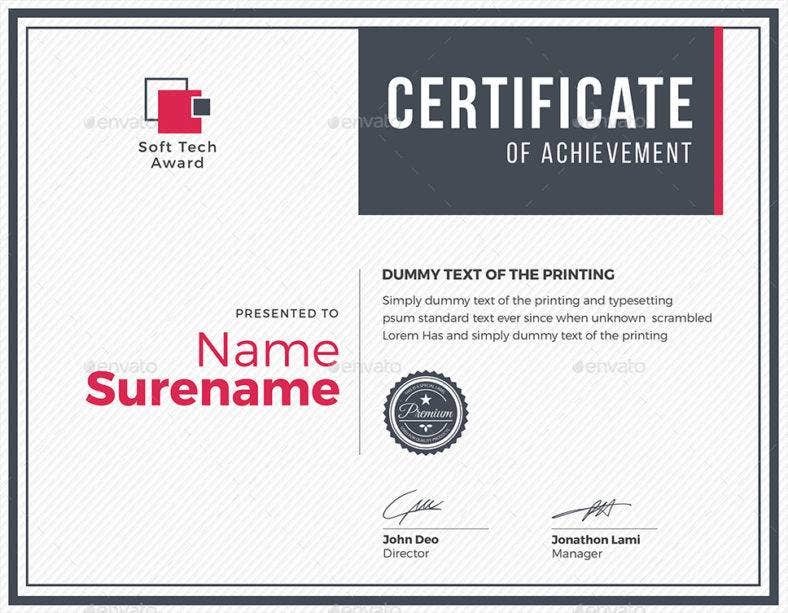 In order to give context to the certificate, you must be able to put in a short or brief text indicating what was done or what the recipient has accomplished. In this case, an academic certificate can have either of the following: “has satisfactorily completed the mandatory requirements as prescribed by the Department of Education and is hereby presented with this award” or “for her outstanding academic performance and consistent placement on the Dean’s list” or it could be anything else you wish. Doing so will give the recipient and other people an idea of what he or she has done or acquired. You may also see winner certificate templates. School official are those people who work in an academic institution with higher positions. Let us say for example the school president and the dean. Both these pieces of information have the capacity to convey a sense of validity and legitimacy to the recipient. 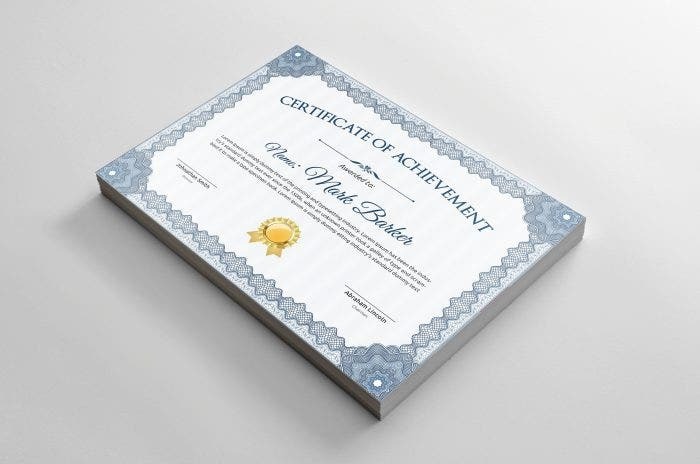 By putting these pieces of information on the certificate will truly validate and solidify the accomplishment of the recipient as it is acknowledged by those people in a higher rank. You may also see high school diploma certificates. There are also other pieces of information that can be included on the certificate to make it more effective. As such is the date the certificate was given, the name of the person who presented the certificate, name of the department the recipient belonged to, to name a few. Having these other pieces of information will just simply make the academic certificate more effective. 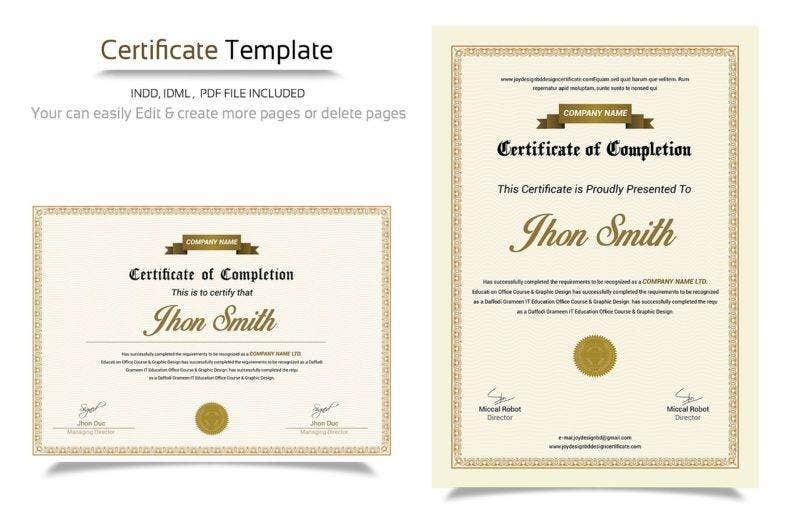 You may also see training completion certificate templates. If you found this article helpful in any way, do not forget to bookmark this page for future references. And, kindly share this with other individuals working in an academe seeking for the best academic certificates to hand out. You may also see preschool certificate templates.